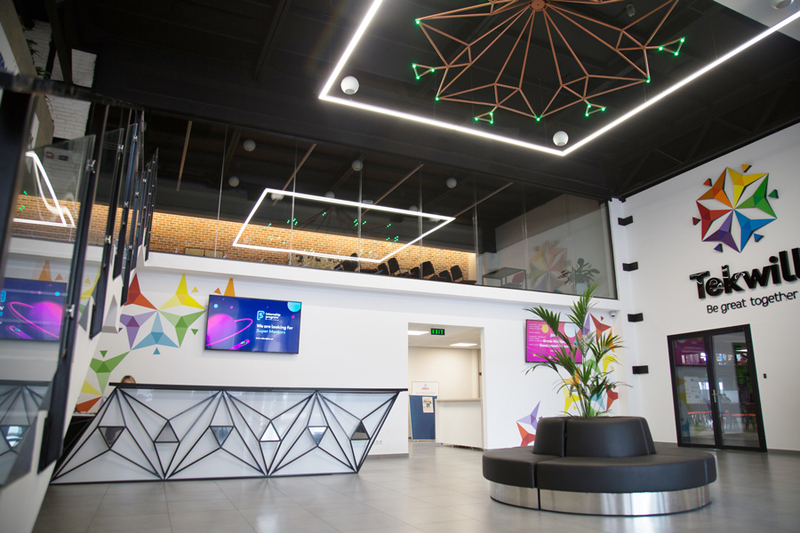 The NAYADA Company took part in the first major ultramodern project on the territory of the Republic of Moldova, the Teckwill Center for IT Innovation. 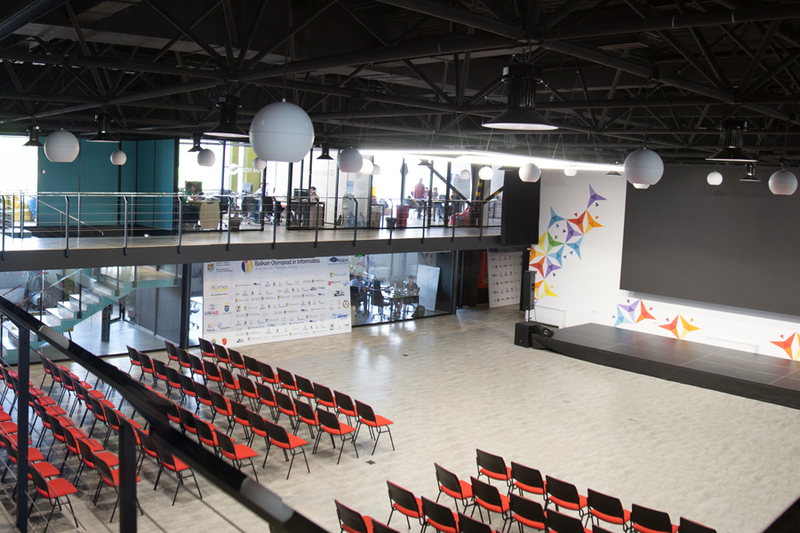 Coworking at the Technical University of Moldova is a complex ecosystem, a set of technologies, resources and opportunities that are designed to help specialists of the Moldovan IT Sector. The architects of the project are Ion and Mihai Eremchuk. 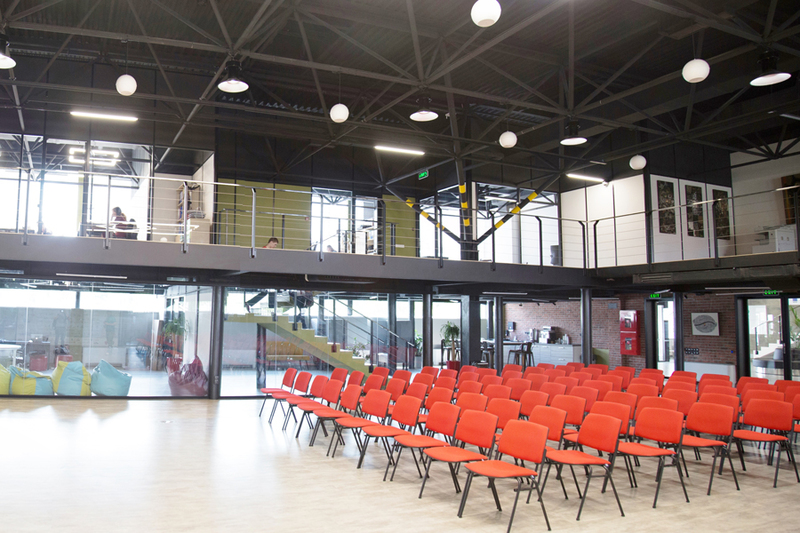 Here, on an area of 3,400 square meters, located are 12 conference halls, 10 office premises, which, instead of the usual numbering, are indicated with IT-terms, for example, Hello World, ESC, etc. 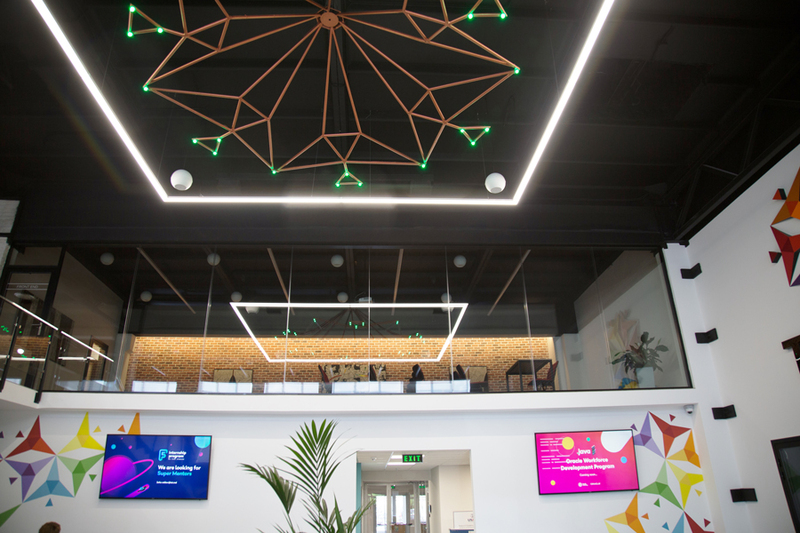 In addition, there is a coworking zone for freelancers and IT companies, a hall equipped with 18 iMacs, a print-room with a 3D printer and Robotics Club. 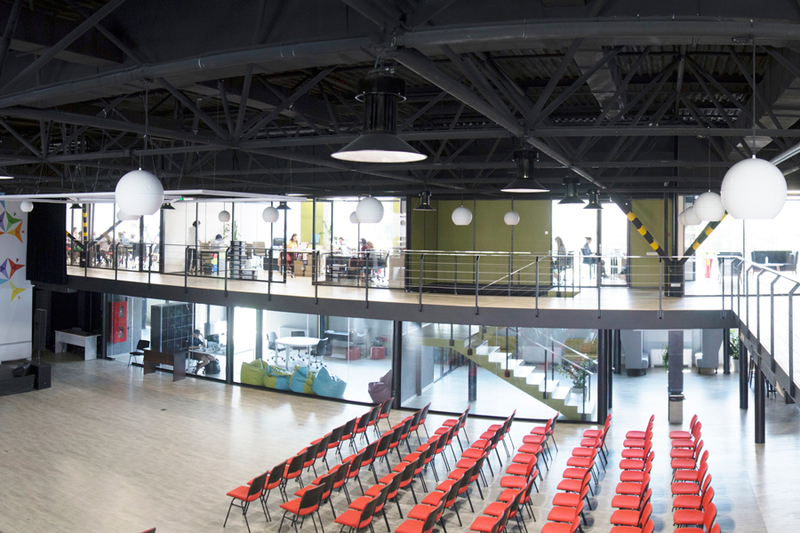 For the complex equipment of the largest coworking center in Moldova, NAYADA implemented several complex solutions, offering the best products for the various zones. 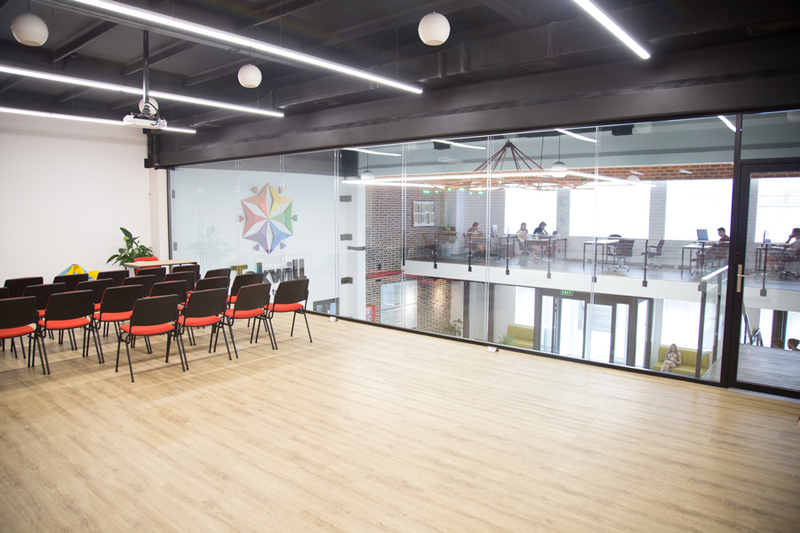 The reconstruction project of the unfinished university library, into an innovative coworking space for the IT sector, was a challenge for all – for the customers, for contractors, and the funding organizations. Separately, it is worth noting the technical complexity of the work, because of the frame pillar on which the roof of the building rests. NAYADA specialists had to develop flexible fasteners in order to provide suitable abutments to the pillars and the facade. For this project, NAYADA installed stationary glass partitions NAYADA-Crystal, NAYADA-Standart and NAYADA-Twin, in different forms of execution. The Doors are also characterized by the variability of canvases and frames, designed to match the different work scenarios. It was possible to integrate the access control system into all proposed solutions.